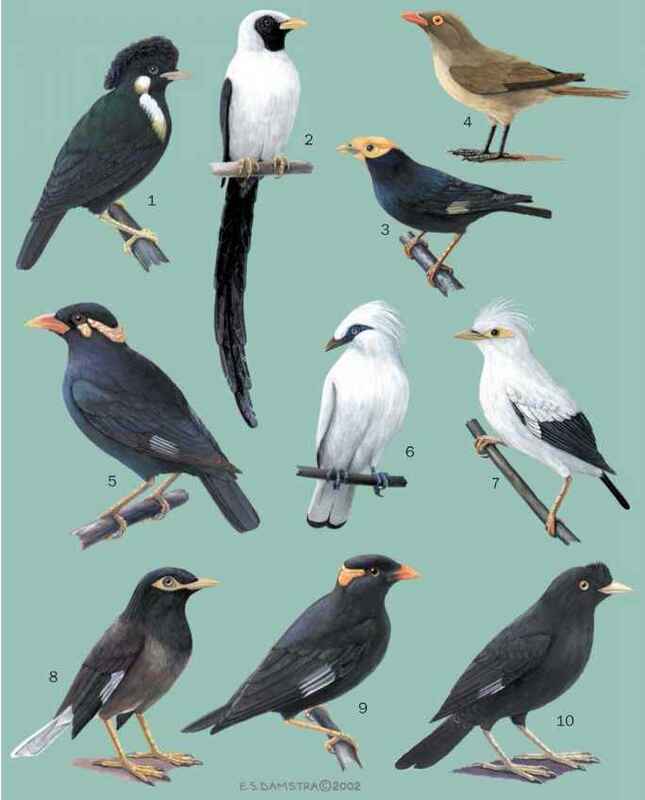 English: Chinese jungle myna, Chinese crested myna, Chinese starling, tufted myna; French: Martin huppé; German: Haubenmaina; Spanish: Maina China. 8.7-10.2 in (22-26 cm). Sexes similar; black with an ivory bill, orange eye, and longer feathers forming a crest on the lower forehead; juvenile slightly browner, with less of a crest, and blue eyes. 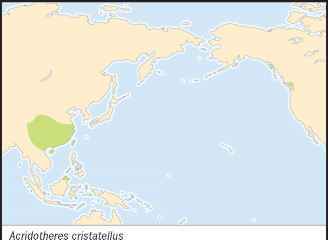 Lowlands of south Asia; introduced to Malaya, the Philippines (Luzon, Negros), and Vancouver, British Columbia; A. c. cristatellus, eastern Burma to southeast and central China; A. c. brevipennis, Hainan; A. c. formosanus, Taiwan. Gregarious, but pair members remain obviously together. 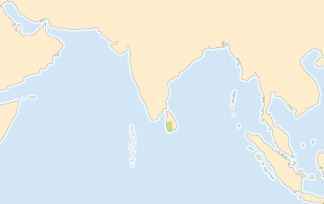 Very opportunistic and somewhat omnivorous; feeds mainly on the ground by inserting the bill into substrate and opening it to probe; also chases insects flushed from ground; some fruit included in the diet; sometimes associated with cattle; known to scavenge on beaches. Colonial or solitary cavity nester that uses woodpecker holes, niches on buildings, bird houses, and similar sites. Clutch of four to seven pale blue or blue-green eggs are incubated about 14 days; chicks fledge at about 21 days.